As traditional cigarettes become less and less popular, more people are turning to a healthier alternative to smoking: vaping. In fact, vaping — including e-Liquids, vape shops, and vape lounges — is on track to become a $10 billion industry this year. As modern-day equivalents of the gentleman’s smoking room with a little twist of speak easy, vape stores and lounges are popping up in every neighborhood to serve people of every tax bracket. 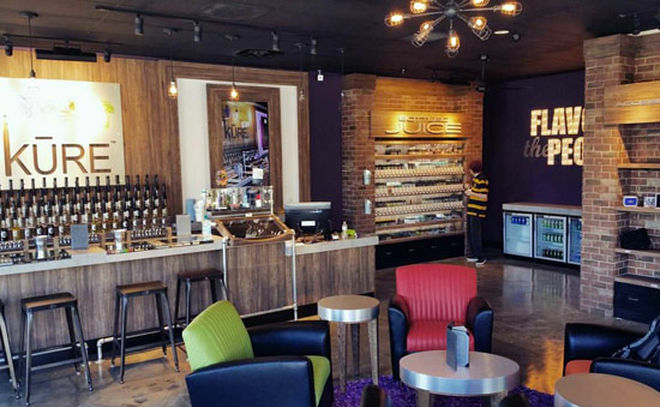 Below are 20 amazing vape lounges in the United States. While there are certainly more than 20 places we could have chosen to include, these vape lounges were chosen based on a list of factors that include Yelp! reviews, menu of services provided, and the relaxation potential of the interior. Like so many other things located in the tourist haven that is Gatlinburg, Tennessee, there is something a little bit otherworldly about IX Nubes Vape Lounge. 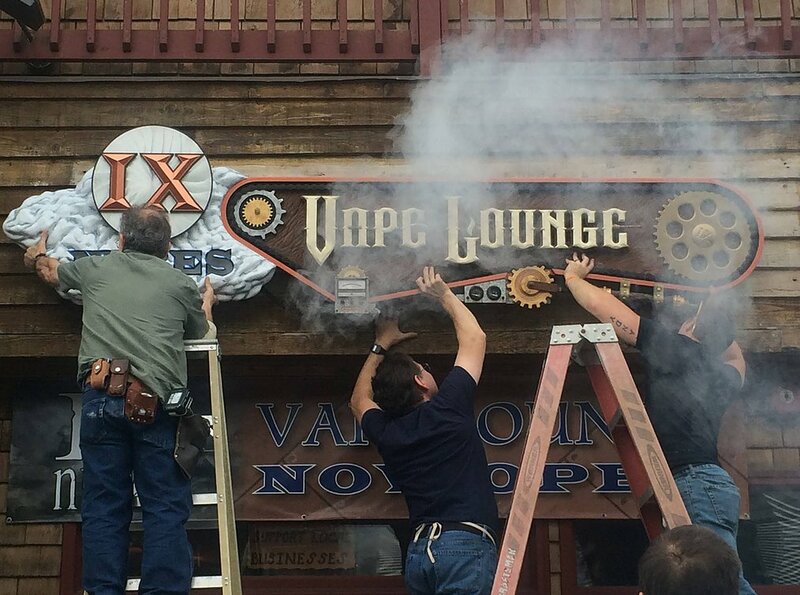 It should come as no surprise that the steampunk-esque lounge and shop is the area’s most popular vape place. 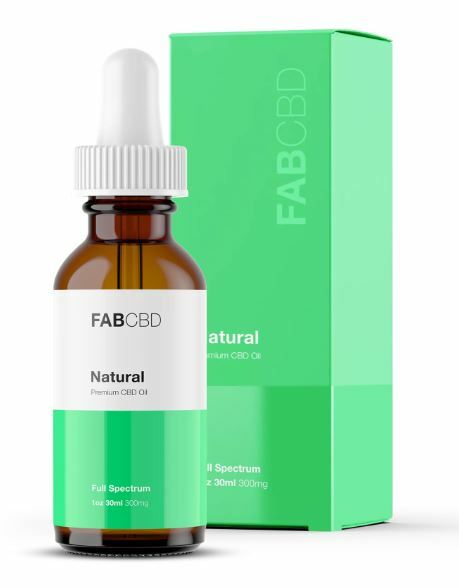 Customers can shop for a massive variety of e-Liquids and equipment, gain some guidance from the knowledgeable staff, or spend some time socializing in the comfortable and appealing lounge area. Abyss Vapor Lounge is 2500 square feet of pure vapor-lounge bliss. This popular spot is ideally set up for any type of vapor, whether you’re looking to make a quick purchase or hang around to relax and socialize. For the latter, Abyss boasts five private rooms, 14 hi-def televisions, and a snack bar. Customers can choose from more than 30 flavors of e-juice, each of which allows for the customizing of nicotine levels. Bad Ace Vapor was founded by a husband and wife team who discovered vaping as a means to quit their bad smoking habits. Today, their vapor shop is one of the coolest in the country, characterized by its laid-back, healthy, and supportive atmosphere. 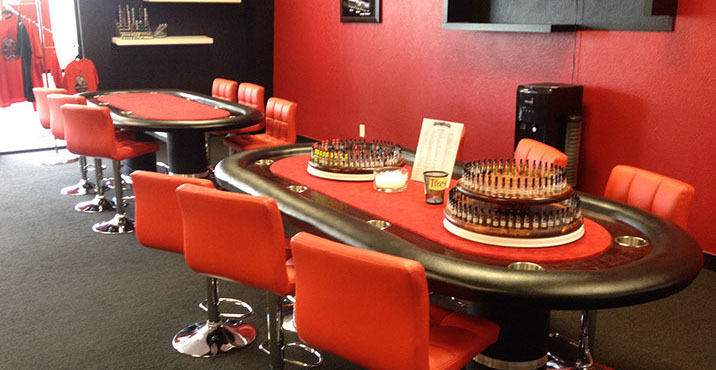 Much of the lounge resembles a casino, complete with poker tables where you can sit and sample the many e-Liquid flavors. Televisions on the wall encourage relaxation, as does the “Man Cave.” There’s even a drive-thru for convenience. Brooklyn’s Beyond Vape really knows how to put the “lounge” in “vape lounge.” People from all walks of life find their way to Beyond Vape, which offers its customers a wide variety of discounts and incentives and an even bigger variety of authentic products (such as Looper, a vapor tasting of Fruit Loops and milk). Lounging is practically required here, as is staying after hours in October for Spooky Sunday movie screenings. 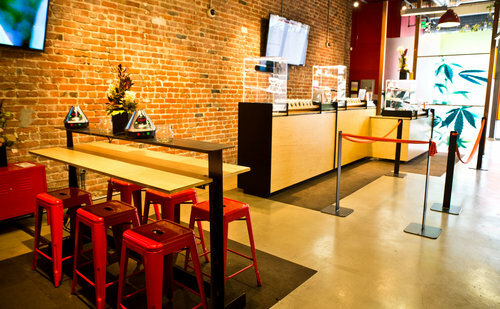 You won’t find any of the stereotypical vape lounge elements at Bloom Room in San Francisco. Rather than neon crosses and pot leaf paraphernalia, this sophisticated lounge boasts colorful spaces, a comic-themed art decor, and bar-style communal tables each topped with Volcano vaporizers. Plus, this trendy vape lounge is located in the heart of San Francisco, just a short walk from Union Square. It should come as no surprise that Buffalo Vapor Lounge is one of the top vape lounges in New York. 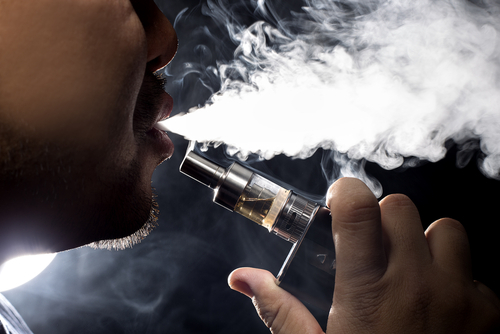 It has two locations in the greater Buffalo area, each with relaxing lounge areas that include comfortable sofas, tables and chairs, a relaxed vibe, and of course, a bar stocked with all sorts of e-Liquids. This growing establishment has already been recognized by TimeOut as one of the best vape lounges in New York City for smoking and relaxing. Comfortable and stylish, City Vape has something for everyone. Beginners will appreciate the lounge’s management, all of whom are former smokers knowledgeable and serious about the benefits of vaping, while those more advanced will love the customized devices and impressive collection of flavors. Pull up a chair and enjoy all that Evapeology Mesa can offer you. This Arizona-based vape lounge doesn’t need any over-the-top decor to solidify its reputation as one of the most amazing vape lounges in America. 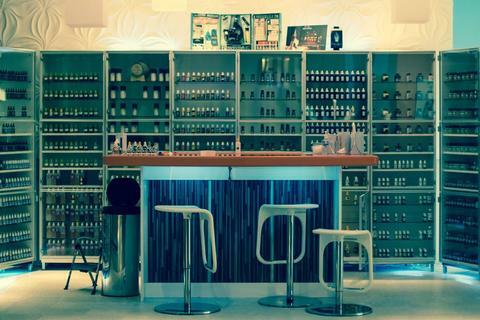 Walk in, and you’ll notice that Evapeology’s juice bar is the star of the show. The bar offers customers dozens of flavor sensations, state-of-the-art vaping equipment, and a knowledgeable and friendly staff to walk you through anything you might need. The Green Club’s Lounge8four7 is one of the most popular vape lounges in San Francisco — and for good reason. Pub-style tables and chairs, each of which is topped with a Volcano vaporizer, is the perfect spot to vape and socialize, while couches, televisions, a pool table, and junk food vending machines contribute to the laid-back atmosphere. The lounge even hosts occasional movie and open mic nights. 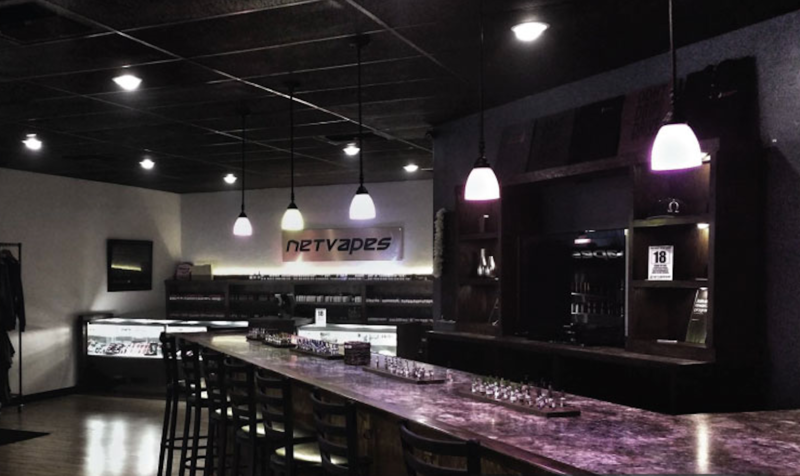 NetVapes in Yuba City, California is a favorite among the locals, who tout it on Yelp for its great prices, stellar juice bar, and unbeatable customer service. Many of the unique juices are made on site, and the knowledgeable employees are always more than happy to walk you through any questions you may have. Even the lounge area is clean and inviting — which might go a long way in explaining why NetVapes enjoys so many regular customers. 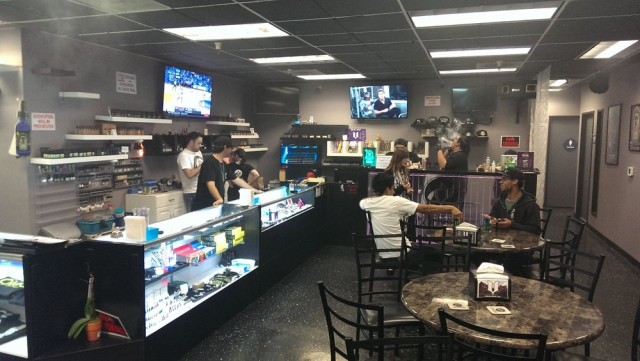 Offbeat and Unique was one of the first vape lounges in the Gilbert, Arizona area and it’s still one of the best and more popular. Highly rated amongst Yelp reviewers, the shop and lounge specializes in e-cigarettes , e-cigarette hardware, and e-Liquids — all of which are made in the United States. Of the latter, they even have an impressive selection of organic options. Customers can pop into the store for something quickly, or relax around the clean, industrial style lounge area. 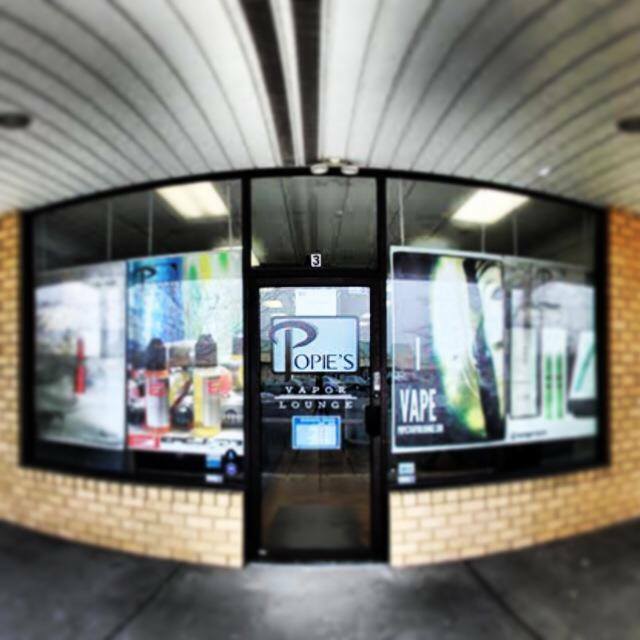 Popie’s Vapor Lounge operates with the goal of helping smokers of traditional cigarettes find a healthier alternative. 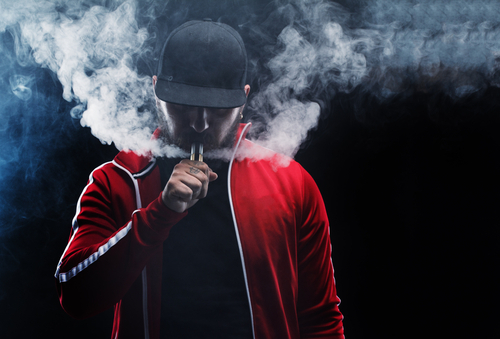 The potential health benefits of vaping are important to Popie’s owner and founder, a former smoker himself, who named his vape lounge after a grandfather who died of smoking-related illness. The lounge boasts an impressive inventory of vaporizers, e-Liquids, and other equipment, and even offers a rewards program for loyal customers. 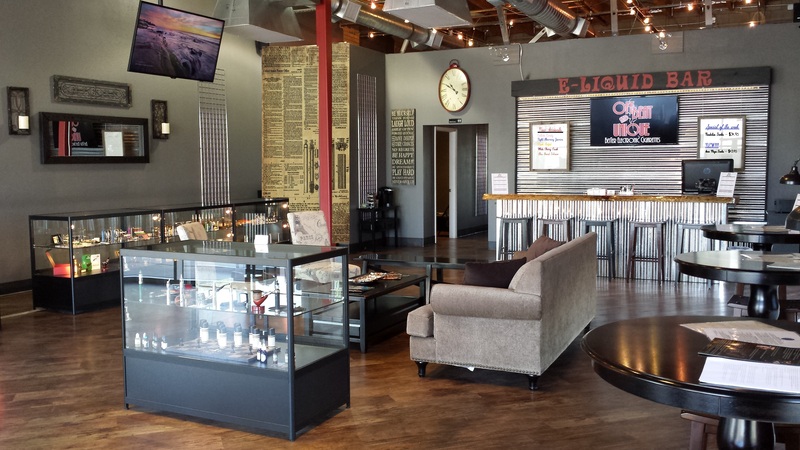 Make one trip to Speak Easy Cannabis Club & Vape Lounge in Colorado Springs, and you may never want to leave! Inspired by the infamous Speak Easies of the 1920s, this trendy vape lounge features cozy leather couches, a variety of socialization areas, flat-screen televisions, and even a snack bar serving everything from candy bars to pizzas! Like so many of the vape lounges on our list, Speak Easy is operated by a knowledgeable group of people dedicated to promoting positivity and the many health benefits of cannabis. Crystal chandeliers in a vape lounge? Yep, that’s what you’ll see upon walking into Stratus Vapor Lounge. This welcoming lounge, located in Carle Place on Long Island, is a local favorite thanks to its helpful and knowledgeable staff, competitive prices, laid-back atmosphere, and impressive selection of premium e-Liquids. Grab a seat on one of the comfy leather sofas, admire the unique graffiti-style wall art, and enjoy. 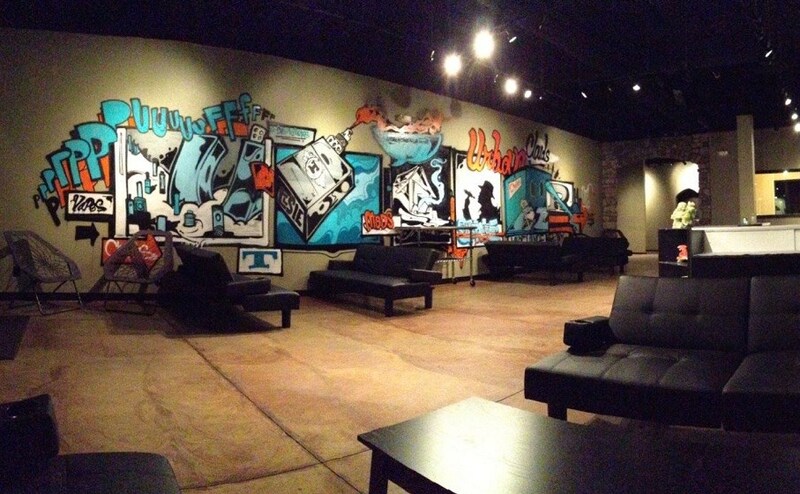 Urban Clouds Vapor Lounge, located in Flagstaff, Arizona, is a deserved favorite amongst local Yelp reviewers. The lounge sells everything from the basics to vaping hardware for even the most advanced vapers. Plus, every e-Liquid they offer at their juice bar is custom, and was created in house! 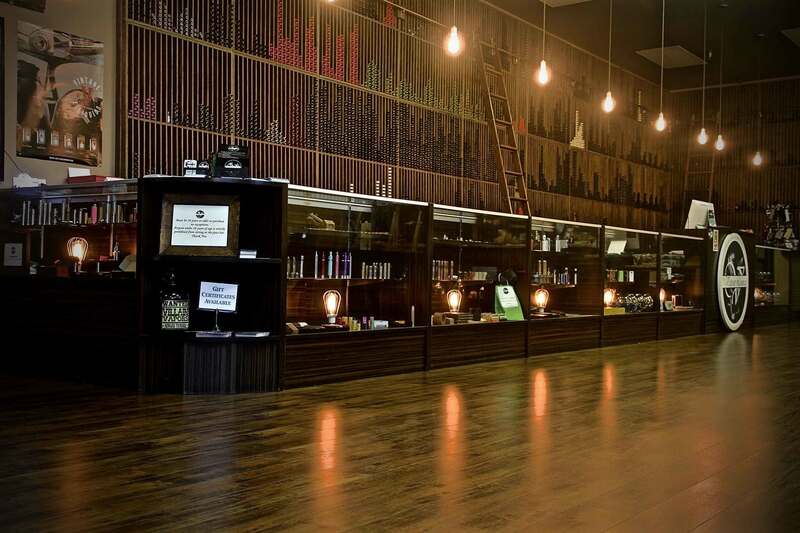 If Heaven were a vape lounge, we think it might look something like The Vapour Lounge in Rancho Cucamonga, California. This upscale retail store and lounge offers customers a massive selection of vaporizers, e-Liquids, and other hardware in budgets ranging from beginner to high-end luxury. 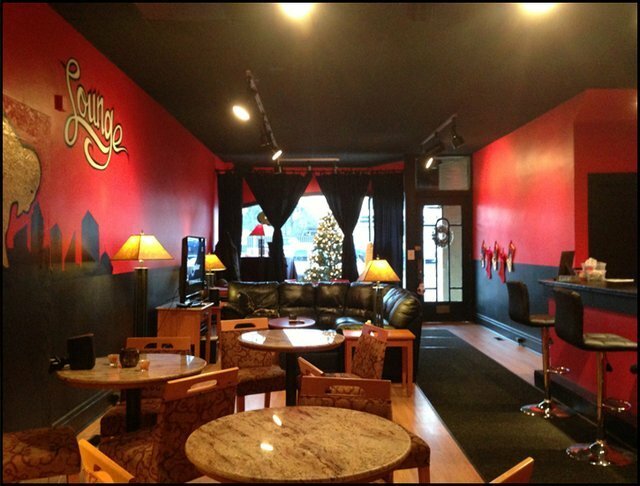 The lounge area is clean and luxurious, and relaxing vapers are even treated to complimentary drinks and entertainment. The Vapor Spot enjoys four locations throughout Southern California, plus one up north in Sacramento. The Spot’s focus is on helping people quit smoking, which they do by offering an impressive selection of e-Liquids and flavored oxygen. 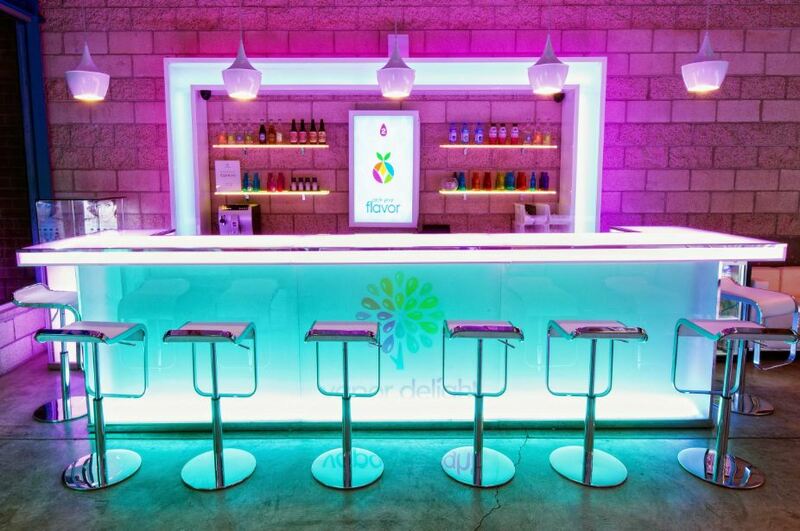 Best of all, The Vapor Spot is totally welcoming, with decor that is clean and modern with a relaxing ambience. This teal and purple wonderland is a vapor’s delight indeed. 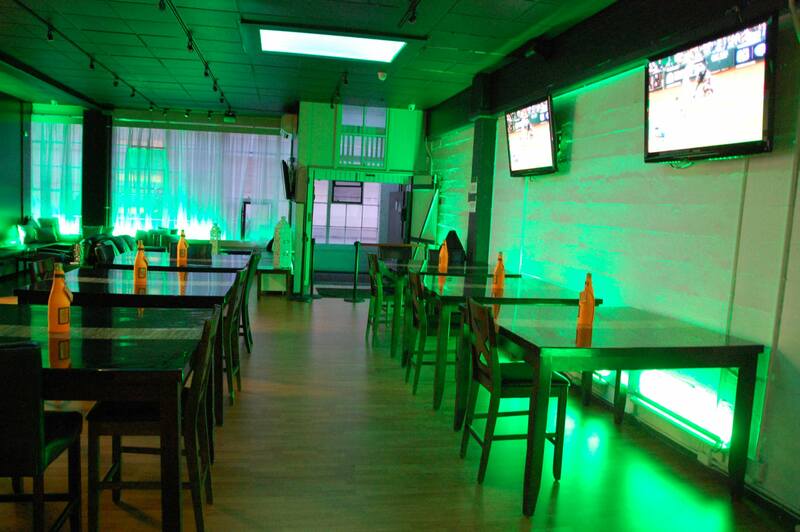 Sleek and modern, with luxurious white leather chairs and a bar lit up with neon lights, Vapor Delight is the perfect place to socialize, watch a bit of television, and just relax while vaping. Speaking of the bar, it’s stocked with so many unique flavors you’ll appreciate the“flavor connoisseur” who is always nearby to help you decide which is right for you. Known for its “exotic hookah, mixology, and music,” Vapor Lounge in the Bronx offers its customers more of a party scene than most other vape lounges on our list. Still, it’s pretty amazing. 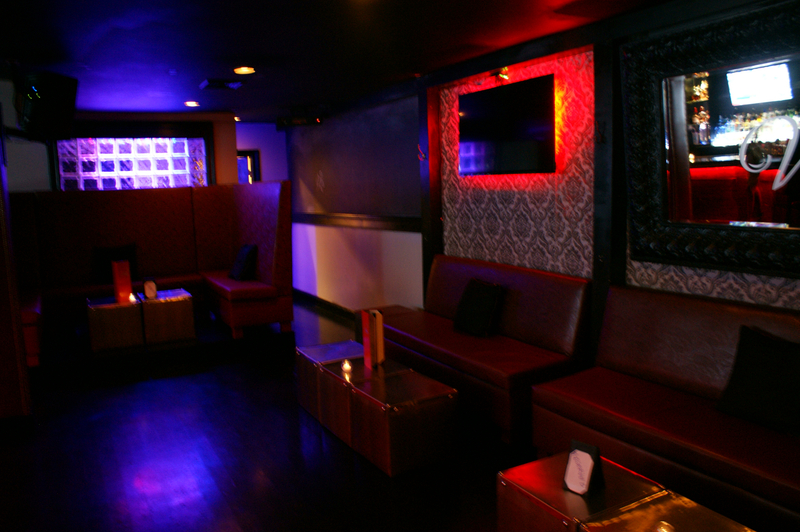 The lounge area itself consists of leather booths and banquettes, plus dark ambient lighting for more intimate socializing. The lounge is open until 3 A.M., and has a full calendar of events like Thirsty Thursdays and Seductive Saturdays.